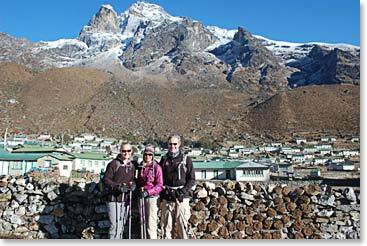 It was a beautiful morning to start off trekking from Khumjung. 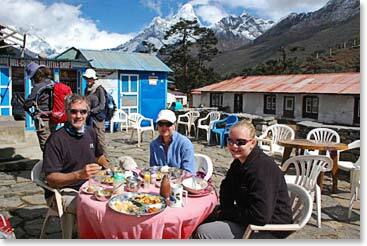 We stopped for a nice lunch at Tangboche, elevation 12,500 feet. 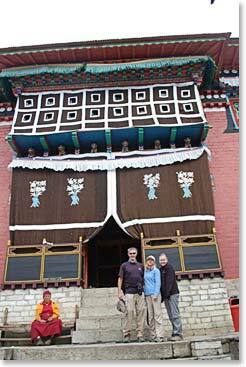 Entrance to the Monastery. 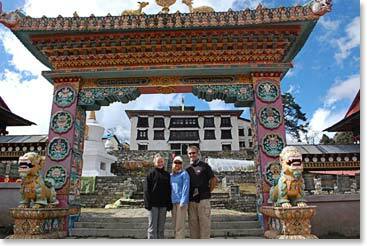 This Monastery was rebuilt after being destroyed by a fire in 1989. 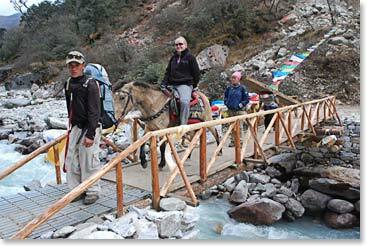 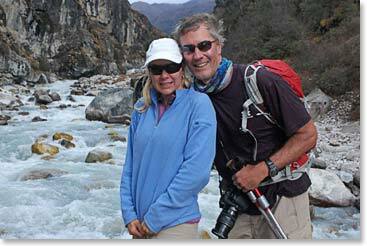 Just for fun, on the way to Pangboche, Alyssa decided to ride Ang Temba’s horse for while. 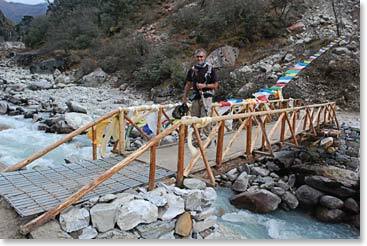 Scot walks on a bridge across the Imja Khola river, on the way to Pangboche.